Met the other girls for Elyn’s wedding yesterday. Initially thought i might not be able to make it cos Rusly might have to do Hospital duties but Alhamdulilah the MIL got discharged on Friday so we just have to head over to Yishun after the wedding at Woodlands, so it was pretty convenient to do a quick trip to the wedding. 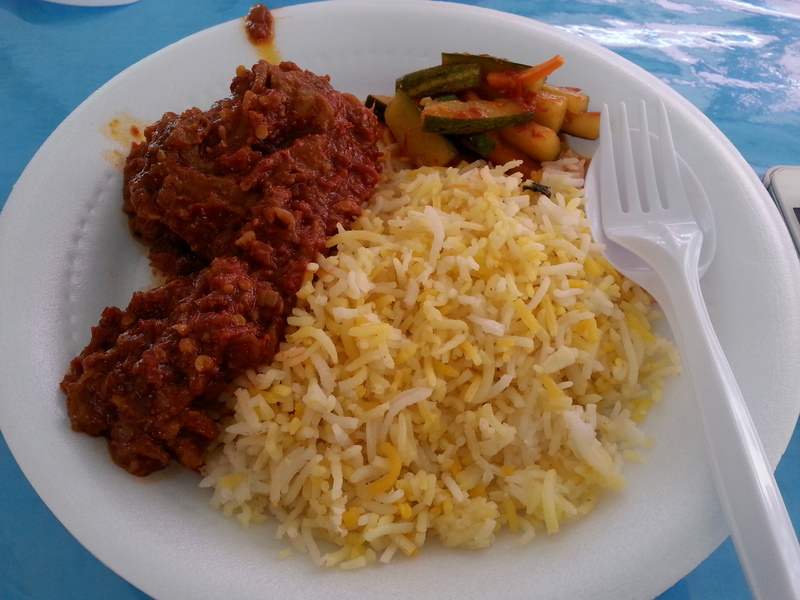 The last wedding before i give birth and be deprived of Ayam Masak Merah orang kahwin! Reached at about 12.30pm, just nice because the groom just arrived with the kompang & his entourage. We were sitting too close to the pelamin though so the kompang was right behind me. Baby had a blast dancing to the rhythm of the kompang. Us girls with the radiant Bride & Groom. Missing akak Farhana kita! Shafa pun layankan je! Lol. One last thing to do before leaving. Photobooth pictures with the girls! 5 girls and a baby. Who knew blogging brought us girls together, eh? 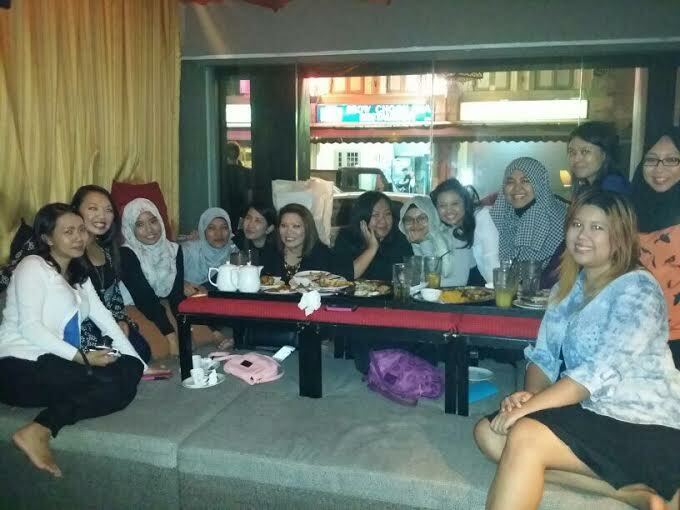 So last friday, a few of us bloggers met up for dinner. I’ve met some of them previously. 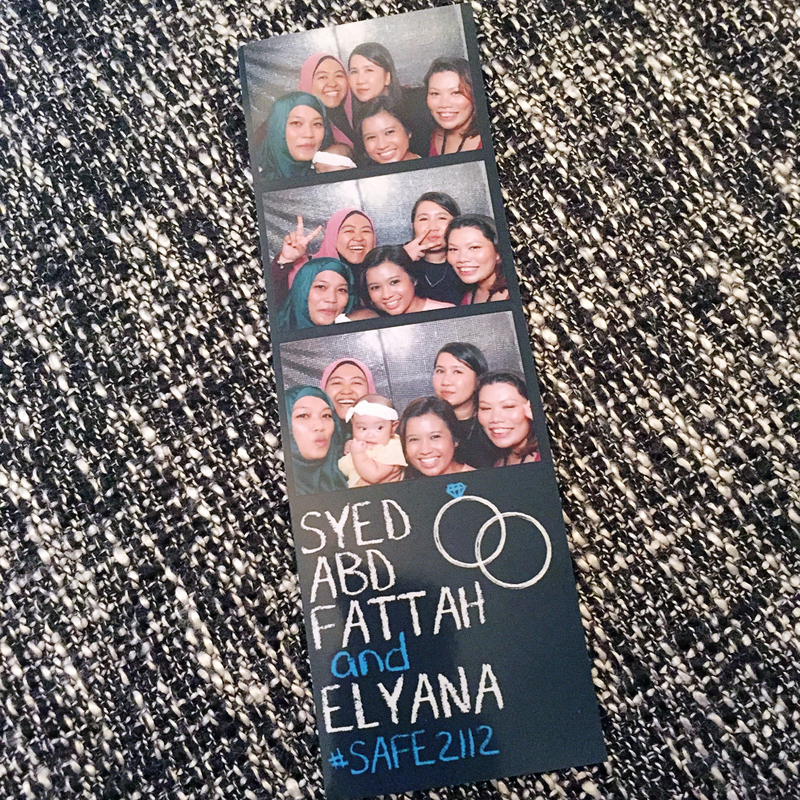 Either at Farhana’s wedding or because they were Card Maison’s clients but i love it that we all hit it off so so well! You know i sometimes get a little scared of meeting a group of girls for the 1st time because you just don’t know what to expect lah. Especially if we all come from different backgrounds. Be it school or employment. It’s really hard to know if there’s gonna be awkward moments. That was a private joke and you just have to be there to fully understand the joke. We also watched Farhana’s wedding video! Not sure if you can recognize all of them but here’s who’s who. 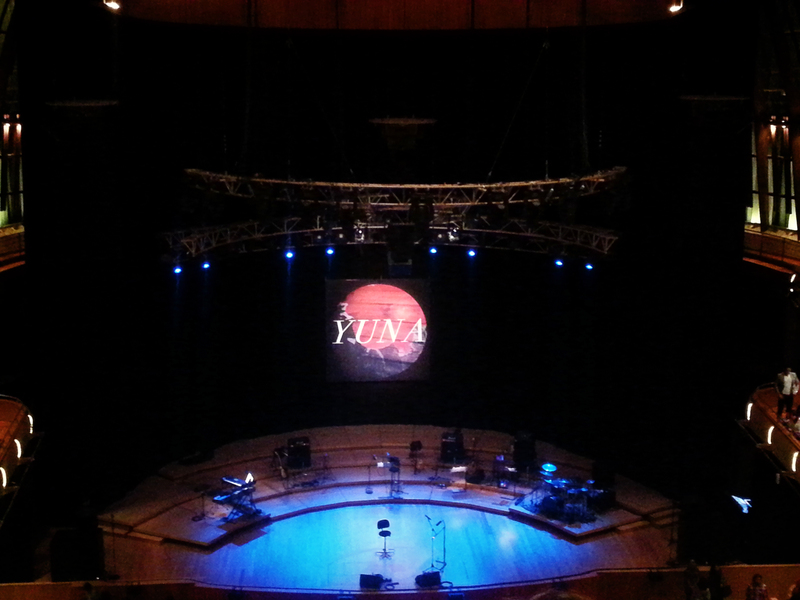 Last monday, i had the chance to go watch Yuna live at Esplanade for her Nocturnal Tour. That sultry voice and the band that accompanied her was superb. You know i almost cried when she sang some of her songs. Lol. There was just so much sincerity in the lyrics, you can’t help feeling like that song was made for you. I love the Esplanade halls but hate the seats. 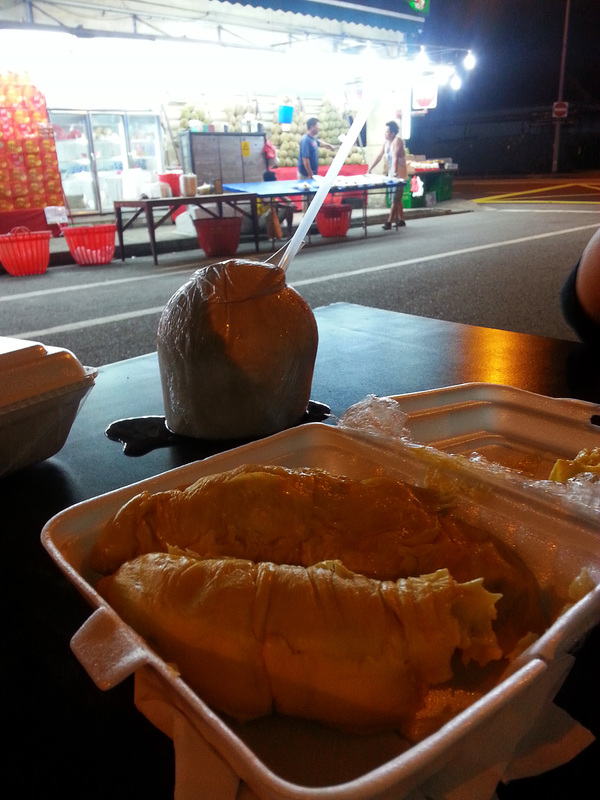 Most of my saturday was spent idling away and then late night, we kidnapped the mom-in-law for supper at Evans Rd and then Durians at Geylang! I’ve realized i can no longer gorge myself with durians like i used to. I usually can finish up 2-3 whole durians by myself. I have immense love for that fruit. Now, i’m done with half a durian before it gets too heaty. We started off our Sunday with Zafran’s Baby Shower at Choa Chu Kang. 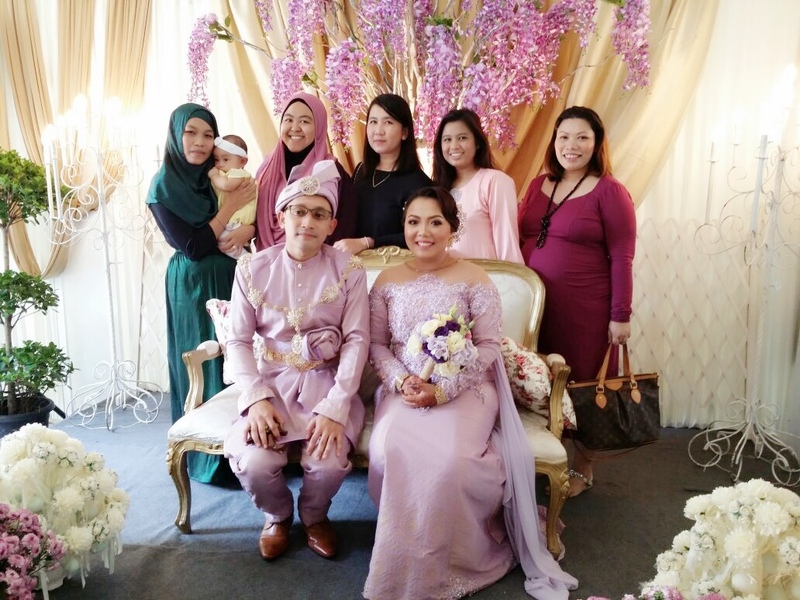 As we all know, Farhana of Kahwin Khronicles got married last weekend. When she whatsapp-ed me to ask if i can make it for the wedding, i realised i actually have that Wedding Showcase from 12 – 8pm. uest were expected to arrive at 7.30pm and the bride & groom were expected to march in at 8.00pm. Even though Farhana mentioned it’s a casual affair and i can come in later, i thought it would be nice to sit through the entire thing from the start. So i cabut from the wedding showcase earlier. We managed to arrive by 7.45pm, gi washroom, amik photobooth picture and all before the Bride & Groom come marching in. and can i also mention that by 7.45pm, most my makeup was gone, rambut dah macam tiga hari tak cuci. Having a wedding showcase at a Multi-Purpose Hall is NOT a good idea, i tell you. I was sweating buckets most of the time. 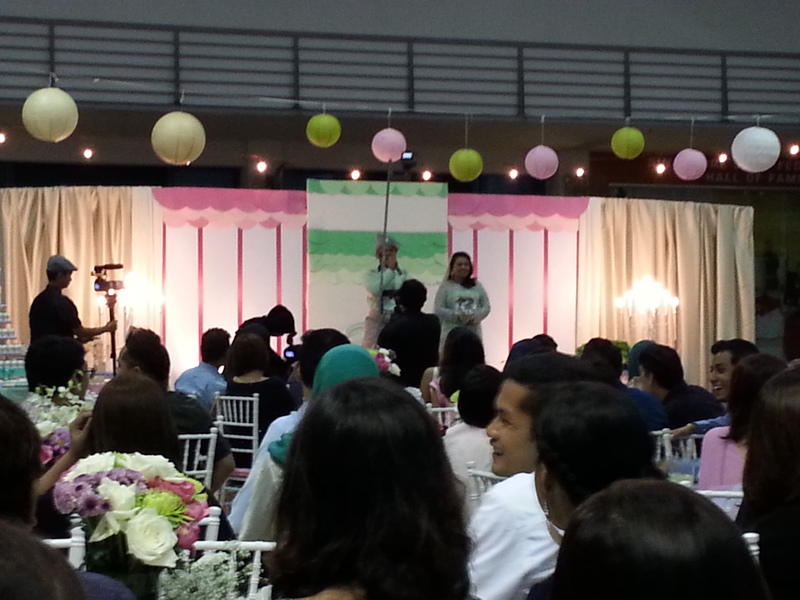 The newly-weds giving a speech before the mic was handed over to their entourage.